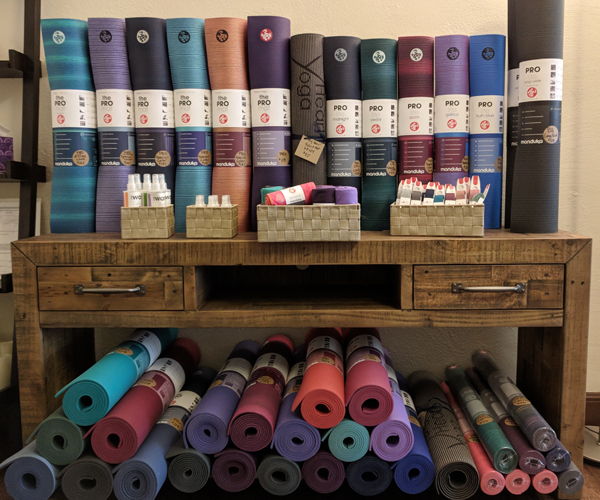 Big Heart Yoga has retail! A high quality mat is an important investment for your practice. 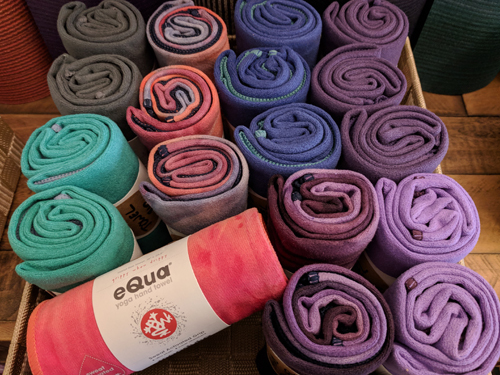 If you like the support of our studio mats, you'll LOVE the support of the variety of Manduka mats for sale in our retail area!! 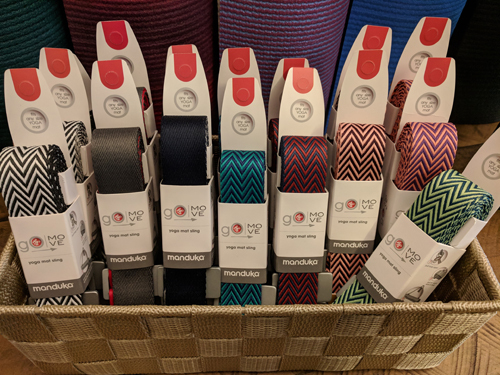 Manduka makes lovely high end yoga mats! The studio mats are very similar to the Manduka ProLite line of mats. The PRO mats are thicker than the ProLites, and both PRO lines are guaranteed for life and available in extended lengths. Many of the mats we have in stock are "seasonal colors" and will only be available for a limited amount of time. Manduka recommends "breaking in" their PRO and ProLite mats with either "practice, practice, practice" or the salt method. The salt method is basically like exfoliating the top of the mat after manufacturing so that the mat becomes a bit stickier faster. Over time and use, these mats become stickier - the salt method jump starts that process a bit. We've broken in all of our studio mats with salt and love! And I'd be happy to break in your new PRO or ProLite Manduka as well ($20 for that service)! The "Big Heart Yoga" branded mats are considered "hybrid mats" (like a regular mat and a mat towel combined). They have a microfiber top to them - making them feel a lot like a towel. These mats become stickier the more you sweat. These particular mats are also machine washable and dryable! 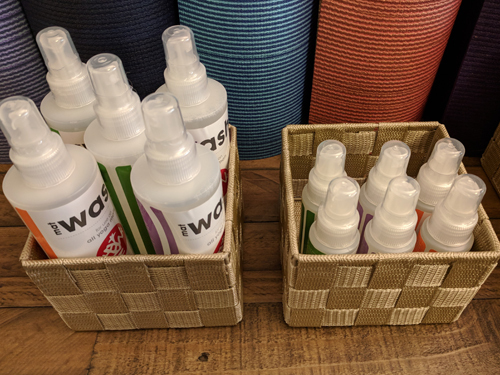 We also stock mat carriers (straps), mat cleaner, hand towels (great for sweaty practices) and homemade essential oil blends! Check out our in-studio retail area! The eKO SuperLite Mat is a superior travel yoga mat (or loaner mat topper) that provides excellent grip. Wherever your practice takes you, the eKO SuperLite is the best yoga mat for yogis on the go! If you have any questions or if you are interested in a Manduka mat that we don't have in stock, please contact us!